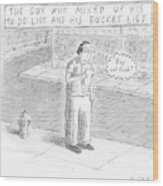 Caption: A man stares at a piece of paper and thinks "Buy cat food?" 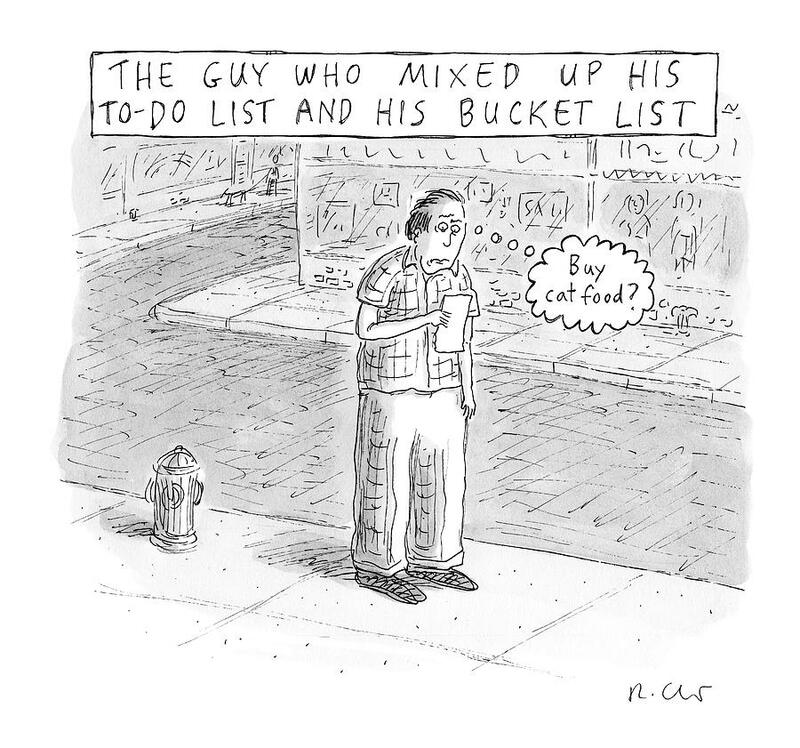 - "The Guy Who Mixed Up His To-Do List And His Bucket List"
Description: A man stares at a piece of paper and thinks "Buy cat food?" 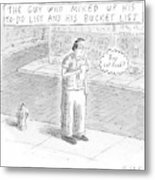 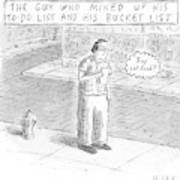 - "The Guy Who Mixed Up His To-Do List And His Bucket List"